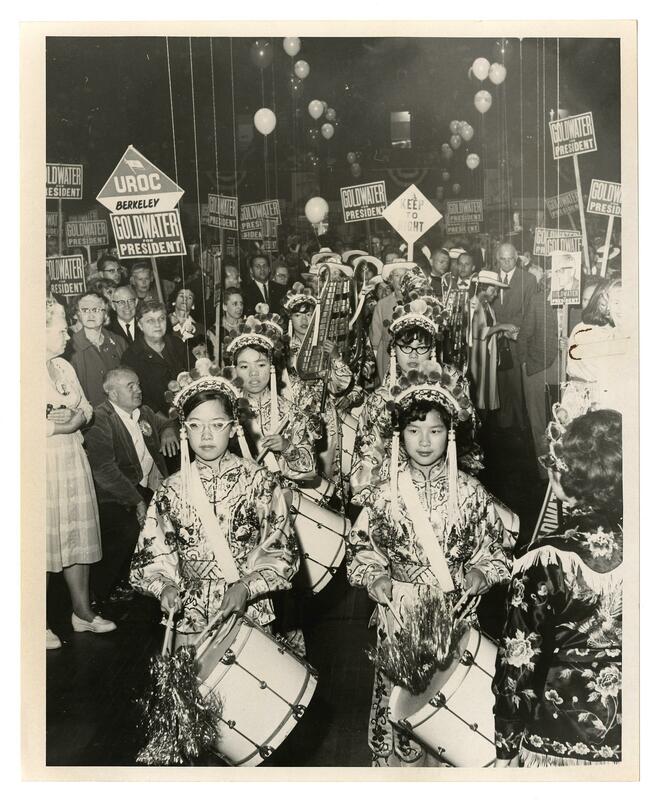 From back of photograph: "Chinese Band" A female Chinese band parades through the middle of a crowd. The members of the band are dressed in traditional Chinese costumes. They appear to be part of a political event supporting of the presidential campaign of Barry Goldwater: dozens of onlookers on either side of the band carry "Goldwater for President" signs. One of them also carries a sign that says "UROC Berkeley". Parade stands are barely visible in the background.